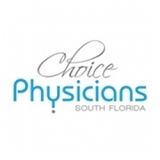 Choice Physicians of South Florida (Ft Lauderdale) - Book Appointment Online! Choice Physicians is a unique medical practice offering both general internal medicine (primary care) as well as sleep medicine consultations. We pride ourselves on tailoring medical care to the patient’s needs. Choice Physicians provides great medical care coupled with exceptional customer service. Our doctors and staff understand that the key to outstanding healthcare is individualized patient care. All of our patients are treated like “VIPs”. You will be welcomed in a comfortable, relaxed environment to decrease any anxieties you may have about visiting the physician. We offer unparalleled service to you and your family in beautiful Fort Lauderdale, Florida. For more information, feel free to visit our website. Amazing and a WONDERFUL person!!!!!!!! Dr. Camilo Ruiz is a professional, personable, efficient and extremely intelligent expert in his field. I highly recommend him.